Photo taken at Laguna Seca Ranch in South Texas April 6, 2019. Nikon D850, Nikon 300mm f/2.8, Nikon 1.4 TC, 1/800 sec at f/7.1, ISO 1000. 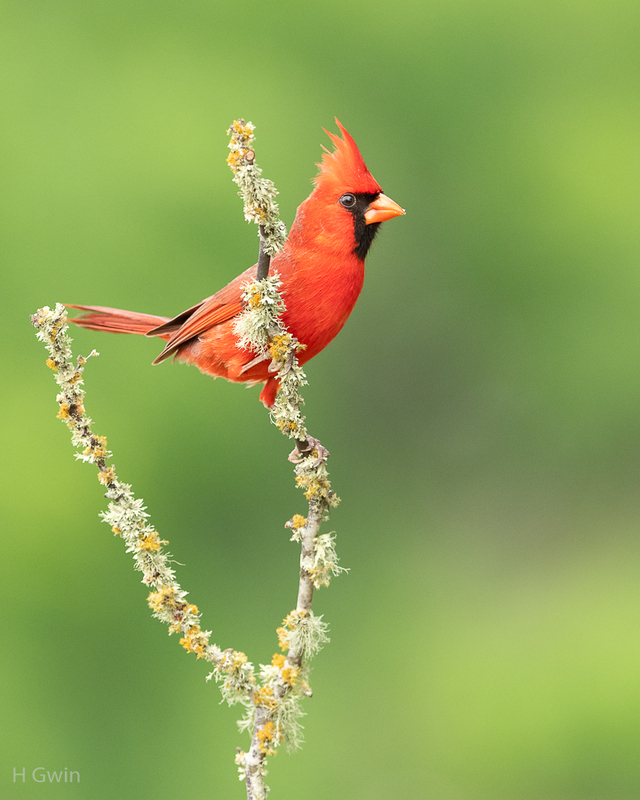 A good-looking male Cardinal that is nicely posed against the green background, Gene. Attractive perch with nice details that add interest. a great set-up with an awesome looking perch, nicely done GENE.